India is known to the world as a big democratic country. Great Indian leaders like Gandhi Ji and Nehru were respected because of India being a democracy. But when we come to the case of Kashmir, it is generally said that democracy and justice neither move beyond Lakhanpur nor are these two boons available to Kashmiris within Indian Union. Never did the people of Kashmir elect a true government after late Sheikh Muhammad Abdullah. All governments in the state were formed in accordance with the wishes of New Delhi. The more recent examples are the regimes of Mufti Muhammad Saeed and Ghulam Nabi Azad. Today, I have taken up the theme of justice. I would be touching on the cases of those who are languishing in the jails for many years. I want my readers to be sensitive to the plight of these unfortunate human beings. Even if the J&K Courts finds them innocent and orders their release from the prison, the have to face the ire of the administration and are sent back to the jails. They are again subjected to Public Safety Act (PSA), and interned for two years. This process has continued for ten, twelve and even fifteen years. The Executive has thrown to winds the orders of the court not once or twice but innumerable times. No system and no structure raise its voice against this injustice. People are implicated in various fake cases as a result of political and administrative vendetta. These unfortunate victims have to shuttle between their residence and the courts of law, police stations and the jails a thousand times. The result is that they begin to nurse hatred against the system and those who run it. It also creates bad impression in their minds against Indian democracy and her system of public justice. They would seek revenge for putting them to a miserable condition. They lose no opportunity to give expression to the simmering hatred. How have I been treated? It is an important question. I would like to recount something of injustice done to me. Whatever I put here in black and white is duly authenticated by substantial proof. On January 30 1971, an FIR was lodged against me in Sadar police station of Srinagar. It was registered under Act 3 of Enemy Agent Ordinance. Under this Act death or life imprisonment can be given. In addition, cases under Section 365, 120-B, 435 and 392 were filed in FIR No. 15. Before proceeding to state details of my prosecution under these provisions, let me take you into the history of the whole matter. Leading Advocate of Kashmir High Court Mr. Riyaz Khawar wrote in his article about Enemy Agent Ordinance: “Under Section 2 of the Ordinance, enemy ‘has been defined as any person directly or indirectly participating or assisting in the campaign recently undertaken by raiders from outside in subverting the Government, established by law in the state and enemy agent under definition means a person not operating as a member of enemy armed forces, who is employed by or works for, or acts on instructions received from the enemy.’ That as per section 5 of EAO Government has a power to appoint a special judge in consultation with the High Court to try the matters under enemy agents ordinance net and as per section 7, special judge can take cognizance of an offensewithout accused being committed to his court for trial. As per Section 9, if a person is convicted and sentenced to death or imprisonment for life, he may file a review petition before reviewing judge who would be nominated by the government from the judges of the High Court and as per section 11 of EAO the accused has no right to get defended by a lawyer unless permitted by the special judge or the reviewing judge. And as per Section 17 of EAO any person if discloses or publishes any information with respect to any proceedings or with respect to person proceeded against, the said person shall be punished with imprisonment that can extend to two years or with fine or with both. That the said ordinance is unique in nature and is not even prevalent in the fascist states and is against international legal jurisprudence, international conventions and covenants, against the doctrine of common sense and the constitution of India and the state constitution. The whole ordinance is in violation of article 14 and article 21 of constitution of India and the doctrine of fairness and transparency. The Section 3 of the ordinance provides death sentence for endangering life meaning thereby on small suspicion a person can be hanged.It is ironic that against the sentence awarded by the special judge there lies no appeal to any court on the merits of the case but only a review is provided and the review petition can be filed only before a judge who is chosen by the Government from amongst the High Court judges and this power of nominating the judge is so arbitrary, illogical, unreasonable and as such prosecutor assumes the role of a judge. In the fascist rule of Hitler and Mussolini the worst criminals had a right to appeal and our democracy does not give a right to appeal to a state subject of Jammu & Kashmir state under Enemy Agents Ordinance. As per Section 10, if special judge under the said ordinance likes to hold the camera trial he can do so at his sweet will which is totally against the doctrine of fairness and transparency and it is against the judicial concept of “Justice should not only be done but appear to have been done”. The special feature of the ordinance is that no accused has a right to engage a lawyer unless permitted by the court while as under international law and under Indian Constitution every accused has a right to be represented by an advocate of his choice and if the accused is poor, the Government is bound to provide him with the services of a lawyer. Moreover under Section 17 of the ordinance no person or the media can publish any proceedings with respect to any person proceeded against under this ordinance and if he does so, he can be sentenced to two years imprisonment or fine or both. “Double Jeopardy – Article 20(2) of the Constitution of India adopts the Principle of Double Jeopardy. The Principle is attracted when the accused has been (A) Prosecuted (B) Punished and (C) for the same offense. This constitutional provision is attracted without any limitations as to the territorial jurisdiction where the accused may have been prosecuted and punished earlier. It is well established that even the conviction by foreign court will bar prosecution in India. This principle has been recognized and applied in TRACY V. Director and Public Prosecution (1971). However after marshaling of legal and constitutional arguments in my case by my defence counsel Messers Muzaffr Baig, Riyaz Jan, and Riyaz Khawar, the Special District Session Judge framed charges against me under EAO Sections 365, 392, 435 and 120-B of RPC on 26 December 2006. Thereafter my counsel appealed before the High Court against the decision of the Session Court under Section 561-A. The learned High Court dismissed my appeal on 29 March 2007 on the plea that the Session Court will pursue the case. A Review Petition was filed in the High Court again under Section 561-A of CRPC, which is now under consideration. Perhaps everybody must be asking that Hashim Qureshi possesses European Passport and enjoys all civil, political and human rights conceivable, and has an economically sound position. Why then did he put himself in such an embarrassing situation? What was the reason for him to bring his children and family back from Europe to Kashmir while people want to send their children to foreign countries? Perhaps I cannot produce a convincing answer for those people who live in their city, in their locality and with their family. Only those who, for any reason, live a life of exile, away from their homes and their country, can give a reply to this question. Thirty years of exile had begun to freeze my blood in my veins. One’s native land and family members and relatives are a big boon. They may be people of different temperaments. That does not matter. They have an identity. In a foreign country one is lost as a stranger. The land, which contains the graves of one’s ancestors, has some rights and the natives of the land have some duty. I have come to repay the debt of my motherland. I want to share the pain and pleasure with my people. I want to understand their troubles and travails. It is the 21st century but our condition is akin to what prevailed in 12th century. This pain and this suffering induced me to return to my land. I want to serve my people and want to rest in my own land. I asked the Indian Embassy to affix visa for India on my European passport. The reply was that I was blacklisted and permission for entry to India was therefore denied. I had only one option and that was via Nepal. Previously whenever I came to Nepal I used to take the direct flight from Frankfurt in Germany. I obtained visa to Nepal in December 2000 with a transit of eight hours in Delhi. As I arrived at Delhi airport, I informed the immigration office about my identity. “I am Hashim Qureshi and a case has been filed against me in Srinagar under FIR No. 15. If you permit me I would present myself before the court there. Otherwise I shall fly to Nepal.” I was put on wait for four hours. 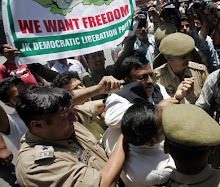 During this period the DGP of J&K issued LOC and warrant against me and communicated it to Delhi police. I was arrested under Lock Out warrant and was put in Tihar jail like animals in cold winter of December. Instead of putting me in a closed cell I was put in an open cell where four people already remained interned. I was not given even life saving and other necessary medicines. I took ill and my pulse fell to 42. I was hospitalized. My lawyers Mr. Tulsi and Mr. Pawa filed a writ petition in Delhi High Court against my detention. The writ petition was under consideration when my friend Muzaffar Husain Baig came to see me in Tihar jail. He advised me that I should withdraw the writ petition and surrender myself to Kashmir police. He said if the Delhi High Court passed any negative remarks; it would create difficulties in fighting the case in J&K. On the advice of Muzaffar Baig, I withdrew the case and I was transferred to Srinagar. In Srinagar I was kept in Papa 2 camp as a prisoner for one full year. Actually Papa 2 was converted into a sub-jail under a notification. I was previously in Joint Interrogation Centre. My case under FIR No, 15 was presented before the Special Session Judge. This led to a long legal battle, which nobody knows when will come to an end. Today I put a question to myself whether I had committed a blunder by transferring my case from Delhi to Srinagar. Three distinguished counsels namely Muzaffar Husain Baig (now Deputy Chief Minister), Riyaz Jan and Riyaz Khawar pleaded my case before Special Session Judge. The Government was represented by Mr. Farooq Kathwari regularly and occasionally by Advocate General. A lengthy debate ensued. The defence counsel zeroed on the point that the charges levelled against their client (myself) are the ones for which I had already been punished by the courts in Pakistan. A person could not be tried twice for the same offence nor could he be punished a second time. Under Clause 7 of Article 20(2) of the Indian Constitution, a person cannot be prosecuted for the second time for the same offence even if the person has been tried for the same case in some other country. The court accepted our contention that a case cannot be tried for the second time un Double Jeopardy proviso. But since the case was tried in Pakistan under different clauses and in India different clauses were applied, as such the law of exemption from second prosecution could not cognisable. It will be noted that when the government was to take revenge from somebody, it gives teeth to the full state power. I remember that when I came here, one among the Prosecutors supported my contention and said,” Hashim Sahib, as a law knowing man I can say that no case can be framed against you. This case cannot be framed under Double Jeopardy proviso. But what can we do? We have instructions that we should find out some loophole in the case”. Thus I am facing the loopholes that the government has maneuvered to find. But the fact is that there is one case and there is one Act; There can be different Acts and Sections to govern the Constitutional law. It is like a man committing theft. He is punished under various clauses for theft. The theft occurred in India and the man is punished in Nepal according to the clauses of Nepalese law. When he returns to India after completing his term in Nepal, does it mean that he will be tried once again in India for the same offence? Will he be tried under different clauses if Clause No. 7 of Article 20(2) OF Indian Constitution is not applicable? The judgment in this case was reflected in national papers of February 22, 2000 issue. I have a copy of the judgement of this case. It should be reminded that Satnam Singh and his companions had hijacked Flight No. IC-4223 when on its way from Delhi to Srinagar. It was taken to Lahore. Later on Satnam Singh joined the Bahujan Samaj Vadi Party. The courts in India, Pakistan and the third world countries are like sacred cows. Even making a genuine comment is considered contempt of court. In European countries and in the US, debating court decisions is a common practice. I have faith in judicial system and hope that justice will be done to me. That is the reason why I am fighting legal battles in the courts of law. But I had certainly commented when on August 3, 2001 Special Session Court rejected my first bail application.The rejection had come for various reasons. I reproduce here exactly his reaction to bail on medical grounds. ''Defense counsel has filed certain test reports of the accused which suggest that he suffers from heart ailment". Even today I am a European citizen and am holding a European Passport. I have asked for revival of my nationality since I was born in Kashmir and am a Kashmiri. This is given after staying for a period of seven years. On December 29, I shall be completing seven years of my stay here. But even after that whenever I want to proceed abroad I need to have the permission of the court as long as my case is pending with the court of law. Our lawmakers and our bar members should focus on the point that two hijackings have taken place: one in 1971 and the other in 1981. For the `97` hijacking the blame comes on two Kashmiri youth, One of the two surrenders before the court of law and a case is framed against him. This is despite that he has spent nine and a half years in jails in Pakistan for the same offence. In the second hijacking offence two Sikhs from Punjab are involved. Both of them were given 13 years of imprisonment in Pakistan. One of them Satnam Singh returned to his country. The Metropolitan Magistrate lets him off on the plea that a person cannot be punished twice for the same offence. No case can be filed against such a person. It may be reminded that the case of my co-accused Muhammad Ashraf Qureshi has been separated from my case because he is working as a lecturer in the Punjab University in Pakistan. Before I conclude this write-up let me state that Ganga hijacking case was also heard in the International Court of Law at The Hague. Prior to that this case was also brought before the IATA. At that level Pakistan had taken the position that “because of India’s oppression and forcible occupation, Kahmiri freedom fighters are forced to take such actions (hijacking).” In the International Court Pakistan labeled it a conspiracy of India, which however the court did not accept. It appears both India and Pakistan have international compulsions to register false and fabricated cases against us. 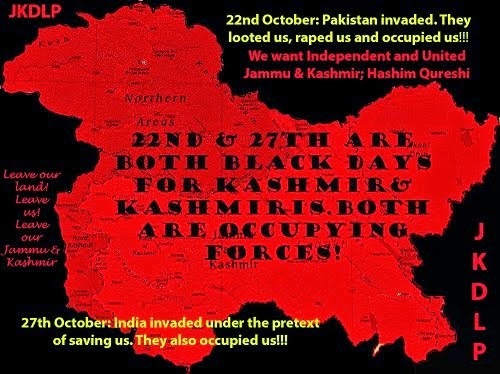 The views of Maqbul Bhat, the martyr, and our organization (Jammu Kashmir National Liberation Front are nothing short of treason against both of them. 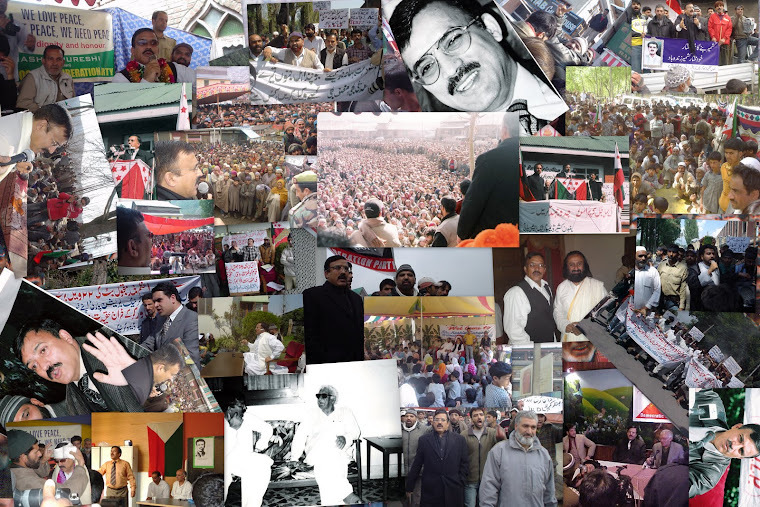 Our views are restoration of pre –1947 Jammu and Kashmir State and freedom from both the countries. Despite shedding so much blood of our youth, neither of the two countries is prepared to concede complete freedom of Kashmir. I would like to make clear that although there are many drawbacks in the existing legal system of Jammu and Kashmir yet during past twenty years judiciary in the State has adopted a friendly attitude towards the people of Kashmir notwithstanding unfavourable conditions. It is unfortunate that nearly 45 thousand cases are still pending in the J&K High Court. In the lower courts, too, thousands of cases are lingering on. The High Court has only eight judges on whom the responsibility of disposing off 45 thousand cases devolves The famous saying is that justice delayed is justice denied. People are fed up with the legal system. I have given a very brief appraisal of my case. Since my case is sub-judice, I cannot, therefore, give all the details. What has been briefly said is to open the eyes of those who are spreading false propaganda against me and without knowing the details of my case are trying to malign me. I know they do it for self aggrandizement and out of a diseased mentality... 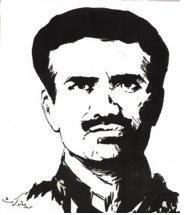 I am proud to say that God Almighty has shaped my destiny like that of my leader and friend Maqbul Bhat the martyr. Maqbul Bhat and I are the only two persons in this nation against whom cases under Enemy Ordinance were filed both in Pakistan and in India. In Pakistan he was accused of being an Indian agent and in India as Pakistani agent. The same is happening with me also. What will be my fate as a result of these cases filed against me does not worry me much. I am of firm conviction that if as a punishment for rendering service to my nation and native land and its freedom, and also in launching a fight for the truth I am to die a thousand deaths, I shall consider it my good fortune and deliverance.